The small, picturesque municipality is one of the entry points to Serra do Cipó, a great ecotourism destination from Brazil's Southeastern region. RIO DE JANEIRO, BRAZIL – Situated 110 kilometers away from Minas Gerais’ capital Belo Horizonte, Santana do Riacho is absolutely unmissable for nature loving explorers. One of the gateways to the stunning National Park of Serrá do Cipó, Santana do Riacho stands out for its incredible natural attractions, including archaeological sites, waterfalls and trails. Once in Santana, make sure to visit its beautiful district Lapinha da Serra, photo internet recreation. 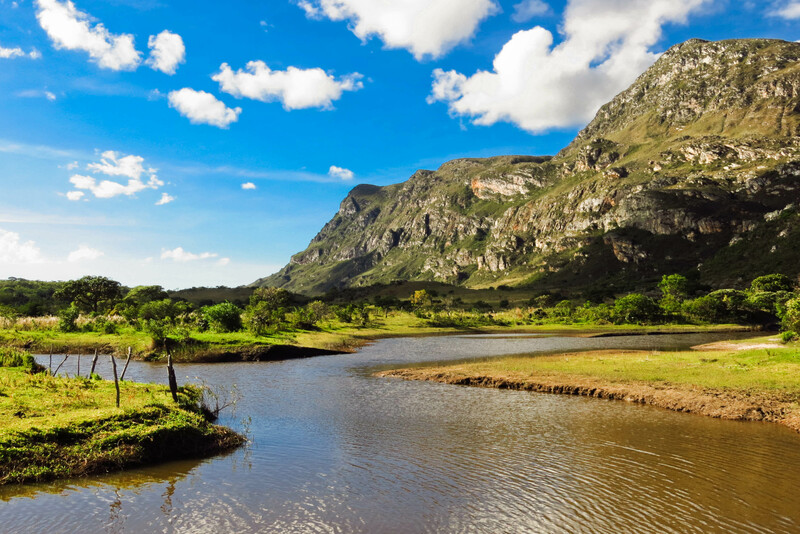 Created in 1984, the National Park of Serra do Cipó is a nature conservation area of 338 square kilometers. Situated in the Central region of Minas Gerais State, the park covers four different municipalities: Santana do Riacho, Jaboticatubas, Morro do Pilar and Itambé do Mato Dentro. Famous for its exuberant landscapes and rich biodiversity – including species in danger of extinction, Serra do Cipó gained notoriety even before it became a national park, when Burle Marx, renowned Brazilian landscape architect, called it “Brazil’s Garden”, in the 1950s. Located between two of the most important Brazilian hydrographic basins, São Francisco and Rio Doce, Serra do Cipó attracts thousands of researchers and adventurers every year. The park’s unique geological formation, rivers, waterfalls, canyons and breathtaking lookout points are among its great highlights. What’s more, the park is the right place for those into hiking, trekking, horseback riding, among other sports. Some of Santana do Riacho’s archaeological sites are located inside the Serra do Cipó park, and others are spread nearby the city center, photo internet recreation. In Santana do Riacho, specifically, visitors must check at least one of its several archaeological sites, where it is possible to find paintings from over 10,000 years ago. A couple of these sites are located inside Serra do Cipó National Park, while others are spread nearby the municipality’s city center. 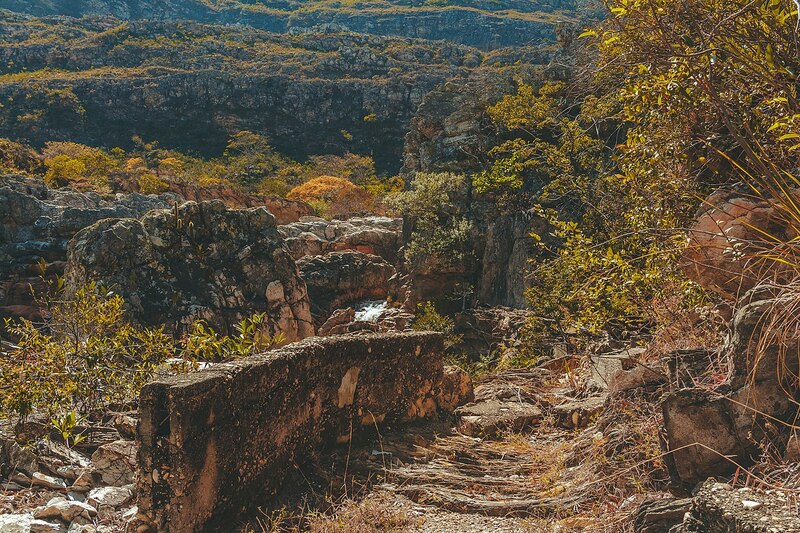 Even though the National Park is the favorite program among tourists staying in Santana, the city offers great alternative natural attractions, like the waterfalls Bicame, Lajeado, Rapel and Paraíso; the Breu’s peak; and the Padre Borges’ grottos. For those into cultural tours, Santana’s historical church, Igreja Nossa Senhora de Santana; and Caminho dos Escravos (a route built by former slaves in the twentieth century) are good options. Otherwise, taking a break for a nice walk on Santana’s center is another way to enjoy the city’s countryside atmosphere. Known for producing beautiful straw and bambu handicrafts, which can easily be found across the city’s main square, Santana does not disappoint when it comes to good, homemade Minas’ food. For a diverse, fine menu, go to Filomena Bistrô, known for Brazilian and contemporary dishes; or Juju Gastrô, which is also specialized in Mediterranean cuisine. For good wood-fired pizza, check A Forneria or Forno da Serra. At Panela de Pedra, one can enjoy the typical “cozinha mineira” cuisine. To get to Santana do Riacho from Rio de Janeiro, one can fly to Belo Horizonte, take a bus or drive to the city via BR-040 road. Once in Belo Horizonte, one must take the MG-010 road, passing by Lagoa Santa. After crossing the Rio das Velhas river, one must follow the direction of the Serra do Cipó district in order to reach the municipality of Santana do Riacho.